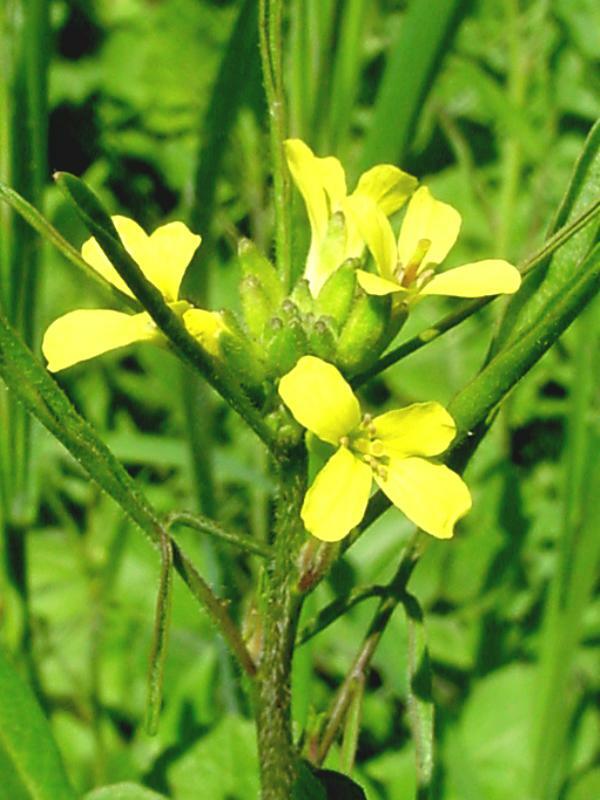 Oriental mustard is an erect, branched annual or biennial 1'-2' high with ± pubescent stems. The leaves are alternate, pinnate, 2" to 5" long with a hastate terminal lobe. 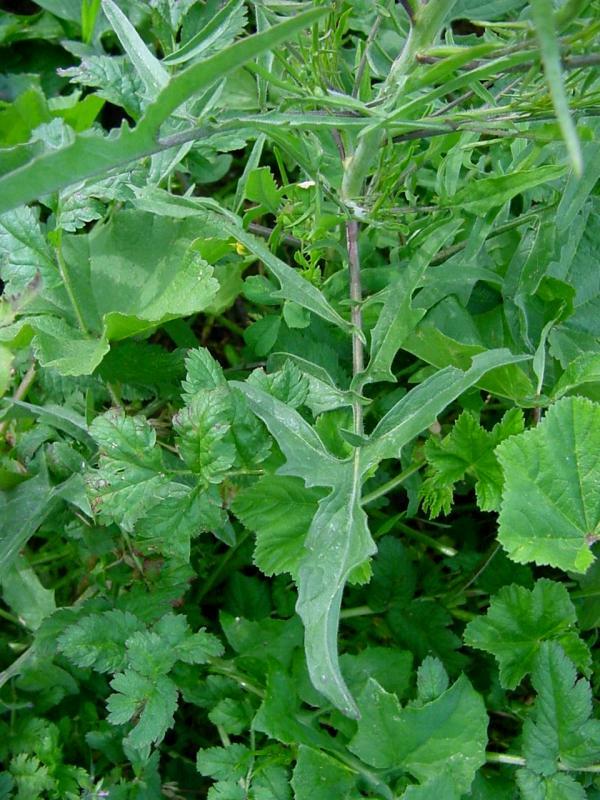 The upper cauline leaves have two basal, lanceolate, spreading lobes and entire to few-toothed margins. 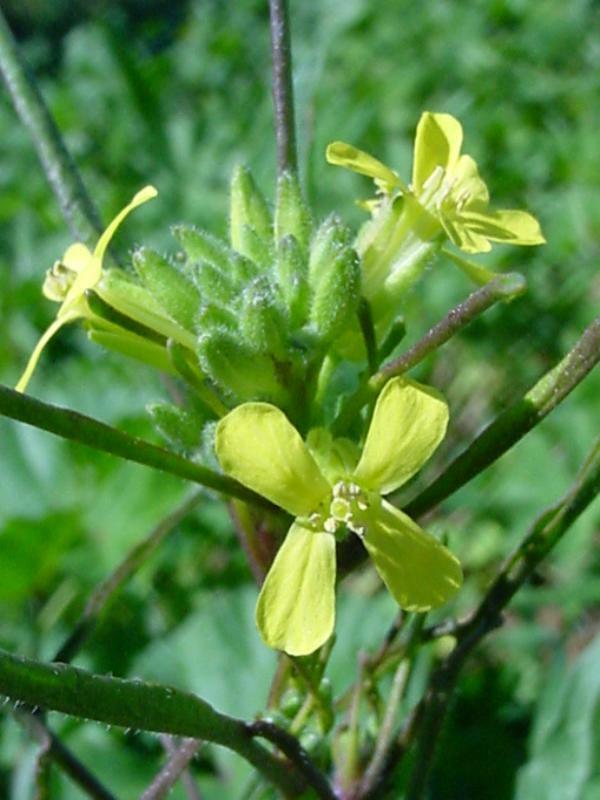 The flowers are in terminal racemes, with four sepals, four pale yellow petals to 3/8" long, and six stamens, four long and two short. The fruits are straight, linear, ascending-spreading unbeaked siliques to about 3-1/2" long that are on pedicels about the same thickness as the silique. Oriental mustard grows along roadsides and sidewalks and in other disturbed places in cismontane California from Ventura County to San Diego County below 3000', blooming from April to July. It is naturalized from Europe. 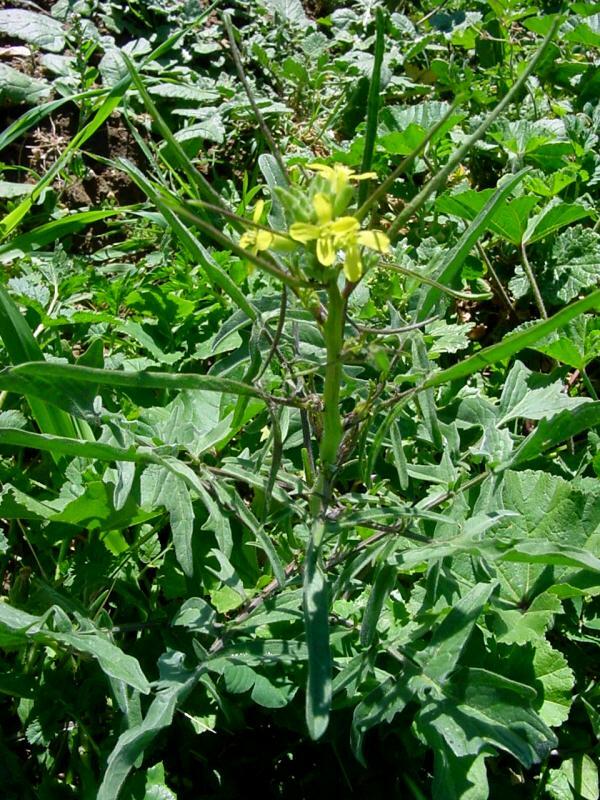 It can be differentiated from its close relatives Sisymbrium altissimum (which has glabrous, not pubescent upper leaves), Sisymbrium officinale (which has appressed seedpods), and Sisymbrium irio (which has fruiting pedicels more slender than the siliques). Click here for Latin name derivations: 1) Sisymbrium 2) orientale.